For each of the past two seasons, the New York Yankees have found themselves on the outside looking in when the postseason has rolled around at the beginning of October. Injuries, inconsistency, and a lack of offensive punch can all be blamed for a Yankeeless October for fans in the Bronx. Then there was that “distraction”. You know the one. 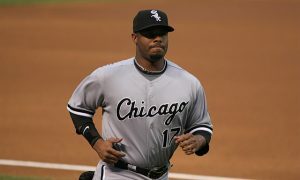 The former MVP who used performance-enhancing drugs. The one who denied, denied, denied. He sued Major League Baseball, the Players’ Union, and anyone else that dare question his involvement in illegal activities, or a cover-up of suggested activities. The same person who cursed at now-MLB Commissioner Rob Manfred during said player’s arbitration hearing to fight the charges against him. Fast-forward a year and a half, and the Yankees are once again the Yankees. They sit atop the AL Eastern division, holding a two-game lead over the surging Toronto Blue Jays. 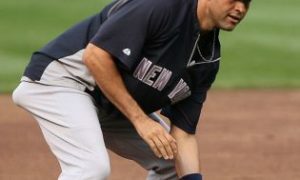 The offense is back intact, with three aging sluggers, led by…Alex Rodriguez. 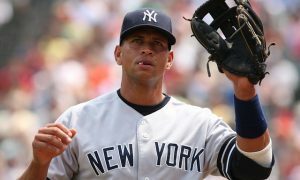 Not much, if anything was expected of the former three-time AL MVP, and heading into the 2015 season, A-Rod didn’t have the confidence of the organization, MLB, and most of all, the fans who had stood by him during his previous run-ins with admitted drug use. His teammates, while all saying and doing the right things as spring training in Tampa opened, were most likely just hoping for the best, but preparing for the worst. A-Rod has said and done all the right things, a rarity for the self-absorbed slugger who is as polarizing a figure in professional sports as any in history. It was A-Rod against the world. When he passed Willie Mays on the all-time home run list, the Yankees proclaimed they would fight his bonus for the accomplishment. Rather than doing what A-Rod was expected to do, he kept his head down, didn’t say much himself, and just kept tearing the cover off the baseball. Eventually, A-Rod and the team worked out a settlement. Ho-hum. When A-Rod smacked his 3,000th career hit, another moment of not much celebration. He was snubbed for the American League All-Star team by everyone involved. Perhaps a reminder that he wasn’t quite off the hook yet for his past indiscretions. As of this writing, A-Rod enters the weekend hitting .259, with 25 home runs and 67 runs driven in, and has an OPS of .864. Excellent numbers by any standard for a 40-year old, let alone one that missed most of the past year and a half serving a suspension and missing time with a hip injury. With his 25th career grand slam earlier in the week–one that lifted the Yankees to a much-needed victory to maintain their division lead, things are looking up for Alex Rodriguez. For every moonshot he crushes, for every clutch hit he obtains, for every milestone he adds to what is one of the most dynamic careers the game has ever seen, there remains naysayers, fans that remain emboldened to quickly remind him that he used PEDs. Without him, the Yankees aren’t even sniffing October, and because he has learned humility, there has been another chance for redemption. Love him or hate him, Alex Rodriguez isn’t going anywhere, anytime soon.